스마트폰은 통화라는 소통적 기능성과 인터넷이 가능한 기능성 때문에 많은 젊은 세대들이 필수적으로 소유를 하고 있다. 이 논문은 국내에 거주하는 중국인 유학생들의 스마트폰에 설치된 앱(APP)의 사용이 그들의 사회화에 어떠한 영향을 미치는지를 실증적으로 분석했다. 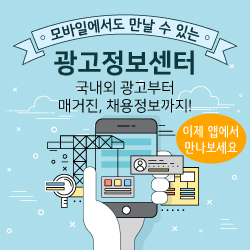 번역 및 역번역방법(A translation & back-translation method)을 통해 설문지간의 내용적 등가성을 분석한 후 중국어 설문지와 한국어 설문지를 만든 후 서베이를 실시했다. 다양한 가외변인들이 종속변인인 중국 유학생들의 사회화에 영향을 주는 것을 막기 위해 위계적 회귀 방법을 실시했다. 가설 검증의 결과로, 중국 유학생들의 스마트폰에 설치된 중국 앱의 이용은 중국적 사회화를 유지하는데 통계적으로 유의미하였고, 한국적 사회화를 방해하지는 않았다. 또한 중국 유학생들의 스마트폰에 설치된 한국 앱의 이용은 중국인 유학생들의 중국적 사회화를 방해하였으며, 한국적 사회화를 촉진시키는 것으로 밝혀졌다. Recently, the smart phone is considered as an essential product among young generations. The purpose of this paper is to study how the Chinese students’ usage of APP installed at the smart phone affected on their socialization. Using by a translation and back translation method, two different types of questionnaire like Korean and Chinese questionnaires were made. In order to prevent from the effects of artifact, a hieratical regression method was used. Finally, it was found out that the usage of smart phone with the Chinese APP was statistically significant with their Chinese socialization but was not significant with Korean socialization. Also, it was found out that the usage of the smart phone, especially, the Korean APP, was statistically significant with their Chinese socialization negatively and was significant with Korean socialization positively.